Founded in 1977, Sea Shepherd’s self-proclaimed mission is to “end the destruction of habitat and slaughter of wildlife in the world’s oceans in order to conserve and protect ecosystems and species.” To that end, the group deploys a number of “direct-action tactics” to investigate, document, and even confront what it deems as illegal activities on the high seas. Sea Shepherd claims to have saved thousands of whales since it began its anti-whaling operations in the Southern Ocean, but owing to the ever-increasing sophistication of Japan’s whaling activities, it can no longer keep up the chase, according to a statement put out by yesterday by Sea Shepherd founder Paul Watson. In 1982, the International Whaling Commission introduced a ban on commercial whaling, but scientific research was exempted. Sea Shepherd, with good reason, claims that Japan is using this exemption to justify its annual whale hunt. 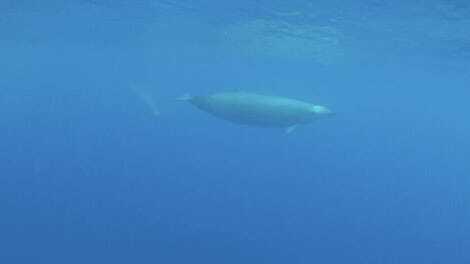 And indeed, a significant portion of the dead minke whales are sold, and the science gleaned from these expeditions is of no consequence. In 2014, an International Court of Justice ruling placed a temporary halt to Japan’s whaling activities, saying its Antarctic whaling project is not a scientific endeavor. The prohibition lasted for one year, and Japan returned to its activities in the Southern Ocean in 2016 and 2017. 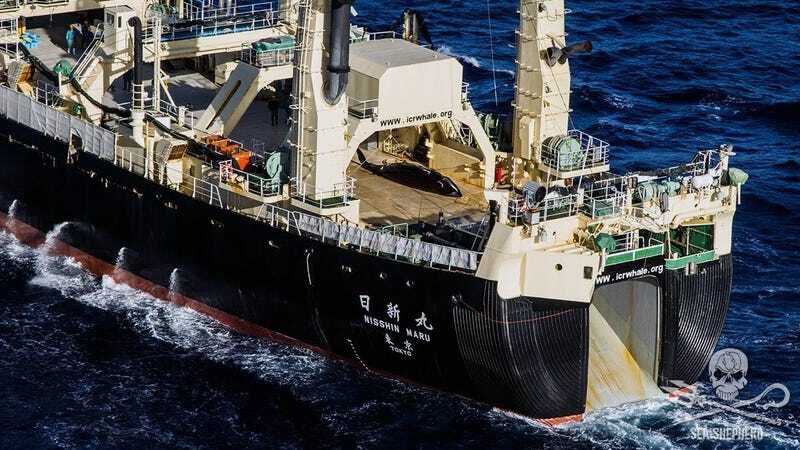 In response, Japan has tried to use the courts to shut-down the anti-whaling campaign, claiming that the activists have rammed its ships, snared propellers with ropes, and harassed the whaling crews with paint and stink bombs. Two years back, Sea Shepherd agreed to pay out $2.55 million to resolve civil contempt charges brought against them in a US court for attacking Japanese whaling ships. It’s not immediately clear what this new strategy might entail. One thing that can be predicted, however, is Japan’s next mission to the Southern Ocean. The fleet will leave its home port later this winter for Antarctic waters, and like its previous two “scientific” expeditions, the whalers will capture 333 minke whales as specified by a self-imposed quota. The Japanese whaling fleet, which goes by the Institute of Cetacean Research, is in the midst of a 12-year program that will result in the slaughter of 4,000 whales.